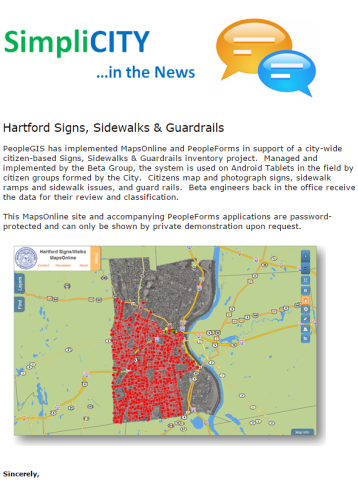 Integrating MapsOnline, PeopleForms & Information Kiosks. 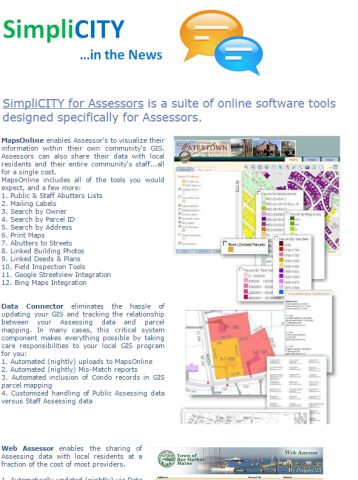 SimpliCITY Is A Toolset That Is Easy, Flexible & Affordable. Enabling Data Access On Field Tablets & Smart Phones. SimpliCITY Is Available To Users Where They Need It When They Need It. 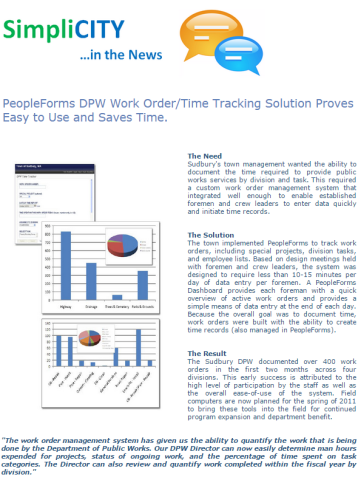 Making Data Management Manageable For Everyone. 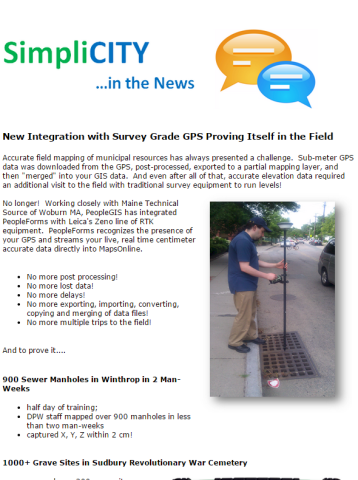 SimpliCITY Enables Non-Geeks To Leverage Information Like Pros. Enabling Communities To Leverage Each Other. 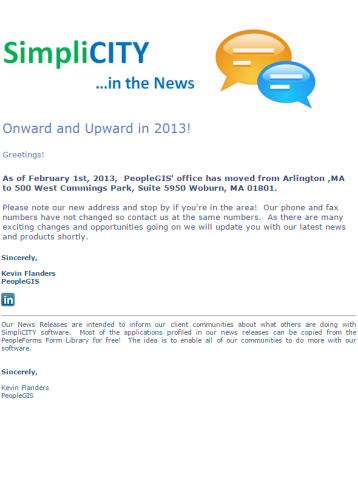 SimpliCITY's Form Library Allows Communities To Share Their Solutions. Turning Ideas Into Apps That Save Time, Money & Energy. SimpliCITY's Ease of Use Results In Normal People Creating Solutions. 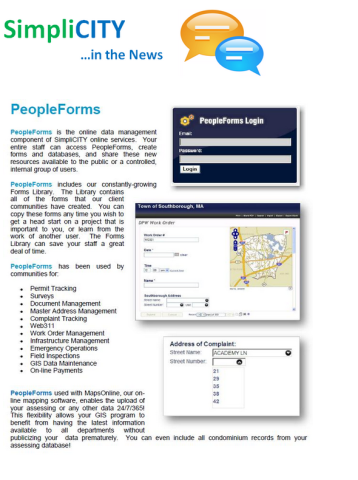 One Platform for Management, Staff & The Public. 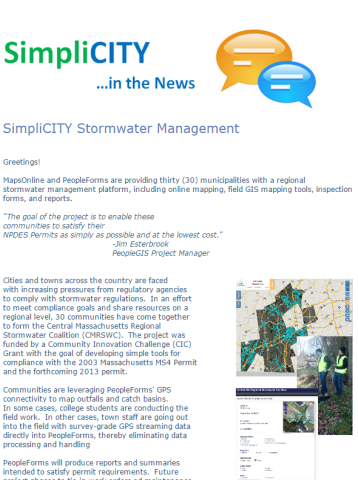 SimpliCITY's Unlimited Licensing Allows Our Communities To Build Solutions For All Stakeholders. 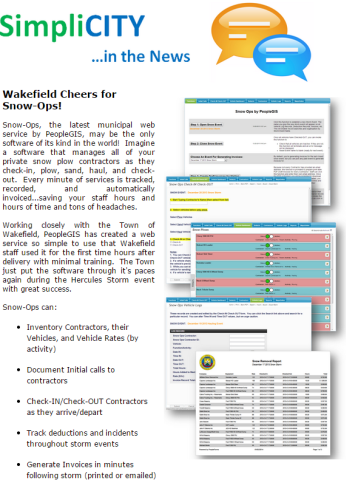 Web-based software capable of supporting hundreds of municipal data management needs out-of-the-box. Our web-based app means connectivity & compatibilty no matter where you are or what device you’re using. All departments using one platform for better communication and integration. We simply do not believe in per-user licensing. 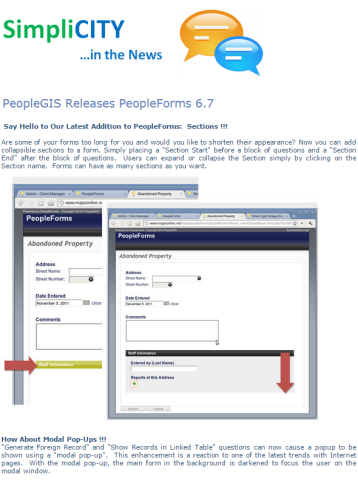 Register as many staff, committee and board members as you wish and encourage them to expand their use of our tools. Besides...who wants to keep track? Our client communities can build as many apps as they wish. Our client communities even work together on shared projects. 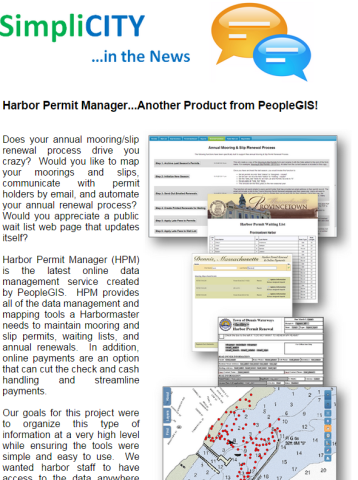 The more our clients do with our tools, the longer they will be our clients! 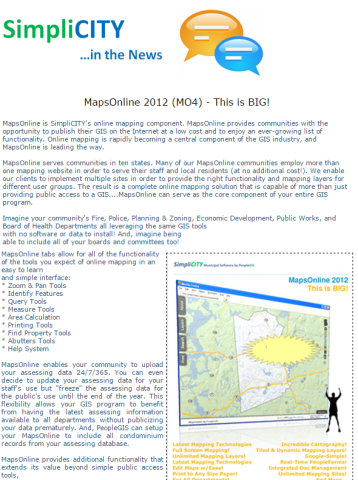 Our client communities can build as many online maps as they wish. Departments need their own online maps which focus on their needs while leveraging chosen layers from other departments to support their activities. 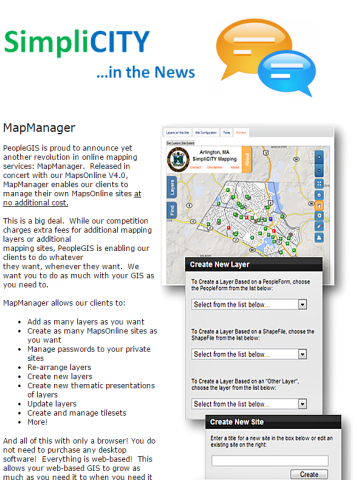 Besides, our clients create so many mapping layers that they could not reasonably fit in a single mapping site anyways. © 2016 PeopleGIS. All Rights Reserved.